Product #196 | SKU 1730-000-110 | 0.0 (no ratings yet) Thanks for your rating! 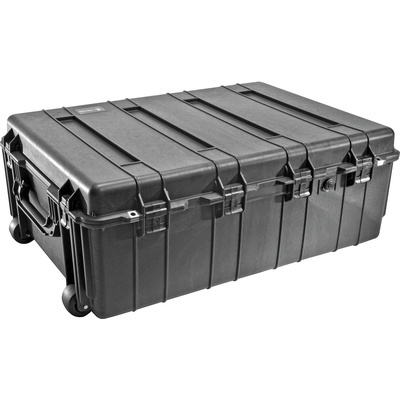 The Pelican 1730 Transport Case with Foam (Black) is a watertight, crushproof and dust proof polypropylene case. It has six easy open ABS double throw latches with stainless steel padlock protectors. It has an o-ring and an automatic pressure release valve with a temperature rating -23 to +99°C. There are double grip fold down handles on each side, and polyurethane wheels with stainless steel bearings. This case has a five-piece foam set included.